Reed Specialist Recruitment, a client of Cedar’s digital customer experience team, invited them to pitch for a consultancy project focussed on developing an ‘Email Communications Programme’. Its aim was to enable REED consultants to achieve a step-change in the effectiveness of their email communications. This was done through delivering an insight-led programme of email best practice and strategy. Cedar, as experts in insight-led communication strategies, required an email specialist to add expert knowledge to the solution. After careful selection, they chose to partner with Twist Consultancy. 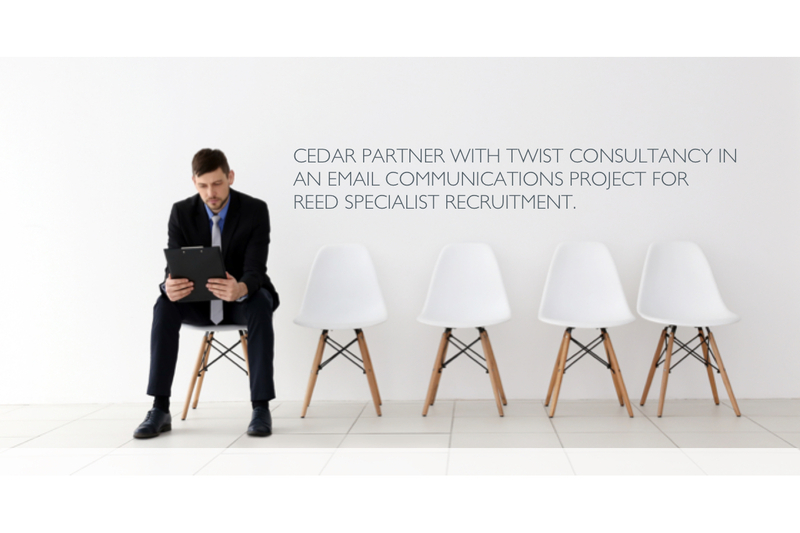 Working in collaboration, Cedar and Twist have defined and delivered a research-led strategy specific to the Reed Specialist Recruitment business, across a range of requirements including: content planning, email creation best practice, deliverability and maximising the value of reporting. Jon Brooks, Head of Marketing, Reed Specialist Recruitment, said: ‘We are delighted to continue developing our relationship with the Cedar team. With their strong research-based approach, rigorous project management and strategic content expertise, they were the perfect choice to carry out the work. To download a copy of the original press release please click here. CEDAR: Cedar is a creative and commercial content agency with offices in London, Hong Kong and Cape Town. We help brands become effective and profitable media owners. Founded in 1973, the agency creates multi-media content strategies from big idea to execution; integrating magazines, websites, social media programmes, apps, events and integrated sales solutions. TWIST: Twist Consultancy is a direct marketing consultancy helping businesses better connect to people. We provide strategic consultancy, deliver resource via interim management, as well as agency partnerships supporting client delivery. « Previous Post: Unlock the marketing gold trapped within your business.